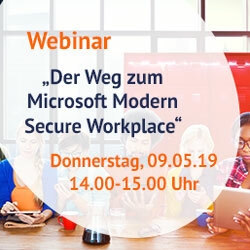 AvePoint SharePoint Migration mit Erfolg: So stellen Sie es geschickt an! 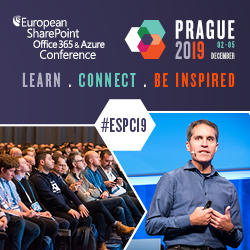 The European SharePoint Conference is the largest European event covering Microsoft SharePoint, Microsoft Office 365, and all related cloud-based and enterprise social technologies. Mark your calendars from 14 – 17 November when Vienna, Austria will host the 2016 European SharePoint Conference. This conference will deliver powerful content on SharePoint and Office 365 for IT professionals, developers and executives! 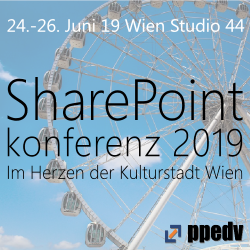 Submissions are invited from MVPs, IT Managers, Business Users, IT Professionals, Developers, Consultants, Project Managers or anyone with interesting experiences about implementing, embracing and enjoying all SharePoint and Office 365 technologies. Note: Conference sessions will be approximately 60 minutes in length (subject to change).